An instrument for your secondary and tertiary studies. For the advanced student, Maple Leaf Strings presents the Emperor Collection. Carefully selected tonewoods are carved by Maple Leaf's most experienced luthiers, then hand varnished and antiqued. 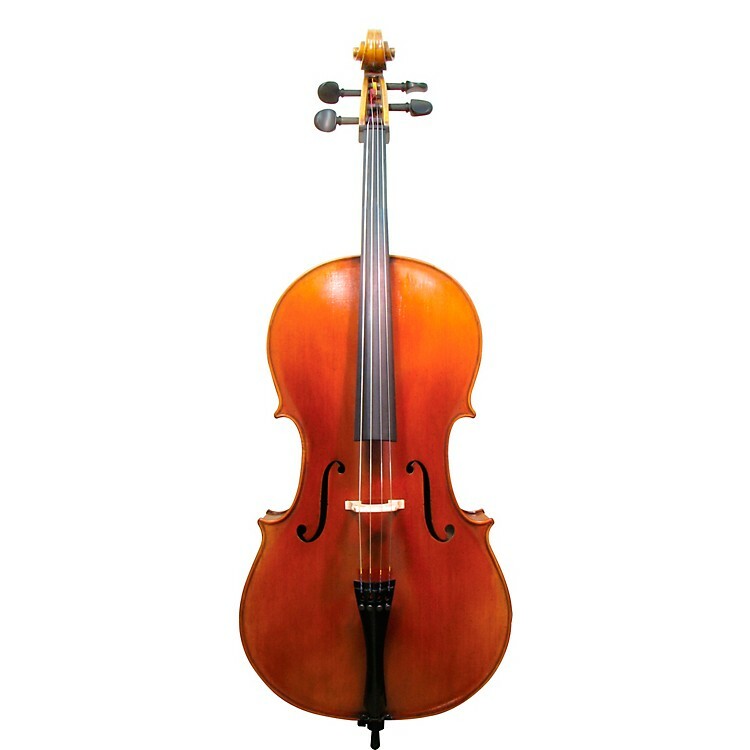 A professional violin shop setup is then done, making this one of the finest sounding cellos at its price. The striking curly maple back and select tonewoods of the Emperor are finished with precise craftmanship. Each instrument is specially selected for its sound quality and quick response. It plays right, looks right and sounds right. Order today.